It is not an uncommon incident. But when it happens, we rarely share it with others out of fear that it reflects badly on us as parents. Last weekend I lost my niece at an amusement park. I was buying tickets for us and switched my attention to the cashier. A few moments later, my dearest niece was gone. It was the scariest moment in my life. Thankfully, policeman found my niece and took her to the administration office. Such terrifying episodes raise so much self-doubt and beg questions about how we can safeguard our children: Do we need to resort to technology to keep our kids safe? Is child GPS tracking an actual thing these days? 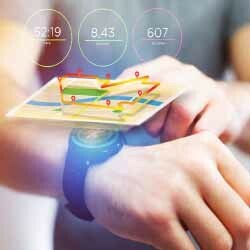 Child GPS Tracking: Yes or No? Our team conducted a survey and asked professional family bloggers for their opinion about kid-friendly monitoring technology. 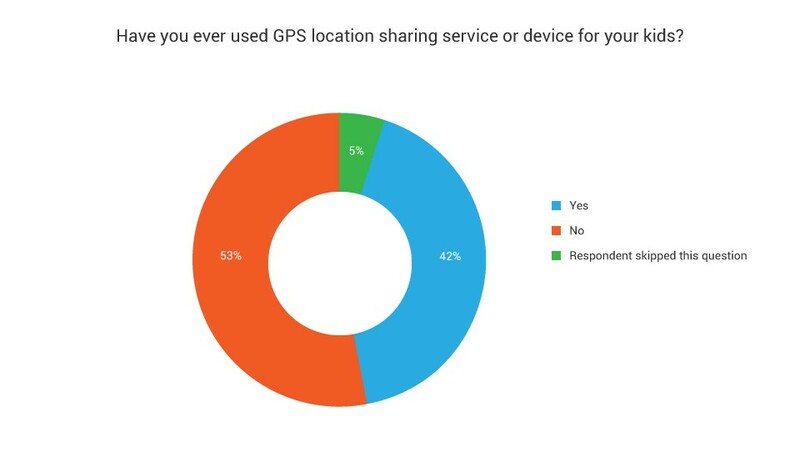 According to our investigation, 53% of respondents did not use child-related GPS apps or devices. However, 42% of those parents trust such technology. 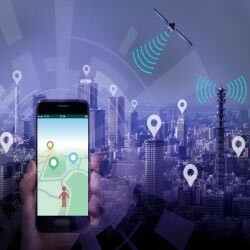 Our study also sought to identify which of the most popular GPS tracking apps were most popular given the wide variety available in the market. Have you ever used GPS location sharing service or device for your kids? What kid-friendly GPS app/device have you recently been using? Are you satisfied with it? 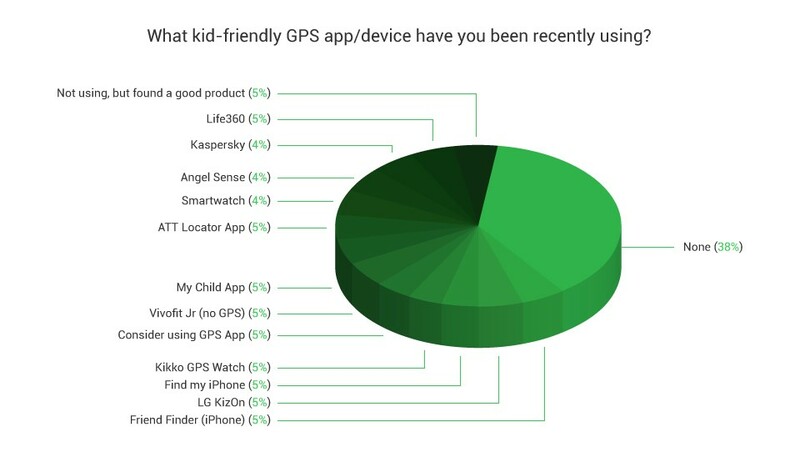 What features would you change in your current child GPS tracking app/device? What features are missing for you? Below are some of their replies. “Our family uses Life360 to stay connected. Having the app installed on each of our phones (We're a family of Android and iPhone users) helps me know where my kids are without having to send them a text. I simply open the app and it shows me where they are. My kids have also used it to see where I am when I'm traveling for work! We absolutely love Life360! The free app has great features but for added benefits, you can upgrade to Life360 Plus which has more features and is a single price per family each year.” - Leticia, Founder of Tech Savvy Mama, Washington D.C., married, mother of two.Leticia is a regular columnist for Parents.com, Babble, Scholastic Parents’ Learning Toolkit and LeapFrog Learning Community. She was chosen Parents Magazine’s Editors’ Pick for Best Tech Blog, Babble’s Top 100 Mom Blogs, Babble’s 50 Top Twitter Moms by Babble and received two distinguished Iris Awards® for Most Engaging Content and for Philanthropic Work of the Year. When she isn’t on Facebook, Twitter, Instagram Pinterest, and Snapchat, Leticia spends time with her husband, kids, their overly enthusiastic Yellow Labrador and their growing flock of backyard chickens. “My son is only two, so I haven't used a GPS device yet with him. But, I would do so in a heartbeat. I haven't looked into GPS services yet, but a recent visit to Disney World made me realize how hard it might be. He wouldn't wear anything around his wrist and is too young to carry a phone. So, I'd like to see something that could be attached to him and that he wouldn't notice or remove. Maybe something that you could pin on.” - Candy of GeekMamas.com. 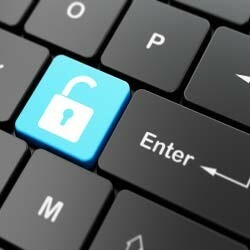 “We are using Kaspersky for my son. I really love it. The notifications are awesome. Honestly, that one is great. It has everything we need. Maybe though, it could disable the child from switching the GPS off. Sometimes he puts the location off, then I can't see where he is.” -Laura of Harassed Mom. “I purchased a children’s smart watch that included GPS tracking and other multiple features, such alerts, two-way voice communication and reminders. However, the app barely worked and it wouldn’t record GPS locations accurately. In the end, we stopped using it.” - Jemma of Jemmalone, mother of three. If Jemma were to design her own tracking device, it would feature accurate, real time tracking, two-way communication, a slimmer design and easier interface. “We are using the Vivofit Jr, which is just an activity tracker. It is not GPS-enabled. But, the kids love it because it tracks their fitness and goals. It rewards them when they do chores and allows them to play games if have done 60 minutes of fitness activities a day. But, I would recommend changing the built-in game and customize the device through changeable bands.” - Suzanne of Mummytotwinsplusone, mother of 10-year old twins and a two-year-old boy. “None. My children are not old enough, but I would love to learn more for my teenage nieces.” – Madeline of Madelineblom blog. Madeline is on a mission to educate fellow moms about the benefits of organic living, believing that healthy mothers raise healthy children. “[We use] the Kikko GPS watch. As far as GPS devices go, this is possibly the best one so far. I am still not 100% happy with it though. The signal is sometimes a bit off and it will only locate your child's approximate location. I have had my daughter sit right next to me and it told me that she was a few blocks away. It takes a while to update as well. I would take any precaution to protect my child but I feel GPS devices are a waste of money. There are times when it does not have a signal, the battery dies, the location is not accurate or the alerts are delayed. I would add like them to have a longer battery life, provide exact location, allow video calling. I would like the watch to be difficult to remove and be able to take a photo or sound clip should it actually be removed. It would be good to a device that works alongside another one that you clip on the inside of your child's jacket, so that if it is removed, you still have a device on your child that will track him and provide accurate, real-time.” – Maz of Caffeine and Fairydust, Cape Town. “Sure, there is the Find my iPhone feature. But, they can leave their phone behind in other places, so that kind of defeats its purpose.” – Angela of Mommypr, a nursing student, mother, military spouse and decade-long blogger. “Yes. LG KizOn. It would be great for it to be most discreet for older children.” – Jen of My Mummy's Pennies blog, Manchester, mother to a seven- and 10-year-old, money-saving expert. “I use the app “Constantly Call and Text my Children Until I Become Unbearable and They Give In and Call or Text Me Back.” I created it myself! But, it had a few obvious flaws. So, my college kid finally taught me how to use Friend Finder on my iPhone. Now, when I panic at 3 am, positive that something terrible has happened, I grab my phone and can see that she is safe at home, instead of calling her on repeat, then calling her boyfriend or every single one of her friends until someone – anyone – picks up. She seems to like the new plan way better. Kids these days!” - Beth Woolsey of BethWoolsey blog, mother of five. “I have not used any app or device but I have seen Xwatch. It looks to be a good product. I think the devices should be invisible and should be allowed in schools, like a small sticker that can be placed in school bags. Devices such as watches can easily be removed. Apps are good to track school buses.” - Jaishri of Mommyswall blog, Bangalore, mother to a four-year-old, IT professional, yoga instructor. “I’m considering it. My four-year-old is getting very independent especially when we go out.”- Cherralle of Mydailycake blog, Johannesburg, executive, mother of two. girls. “I use Angel sense. I’m very satisfied. But I wish the device was smaller because my daughter is so tiny,” Alicia Trautwein of Mom Kind blog, mother to four children, three of who are autistic, special need advocate. “My Child and ATT locator app. I have been happy with them thus far.” - Tiffany of Nature Moms blog, Ohio, married, mother to three children, two of whom are autistic. Being a busy mom of three makes me constantly worried about where my kids are and keeping them safe. I haven't used a GPS product yet, but with my son approaching kindergarten this fall, a GPS device is something we are seriously considering to help us feel comfortable that our son is where he should be during and after school. I know I will stress less if I have a device to help track my son's location as he begins school.--Carly from A Modern Mom Blog. Have a twin device that is smaller. For instance, watch and a pin and etc. Ability to use it at school. Apps are suitable to track school buses. Turtler will keep you updated about good GPS tracking apps and devices. Stay tuned.